Having challenges winning funding and approval for your technology needs? This session will equip you to get a “yes” on funding for the technology investments you need. In this session, performance measurement consultants Karen Cramer and Sean Williams will demonstrate TechBridge’s methodology for calculating project ROI and present lessons learned from nonprofit case studies. You’ll have an opportunity to estimate current and future costs to determine the ROI for one of your upcoming IT Projects. Karen Cramer leads the Performance Measurement Group whose offerings help nonprofits to define and measure mission success. Karen joined TechBridge because she is passionate about reducing poverty in America. Her mission in life is for all kids to have the resources and opportunities they need to thrive. Karen is a licensed master’s social worker and has been a nonprofit professional for 15 years. Karen is a proud co-founder of Helping Mamas, the metro Atlanta baby supplies bank and winner of United Way of Greater Atlanta’s Spark Prize. From working in large and small nonprofits, Karen understands the power of utilizing technology to make nonprofits more effective and efficient. 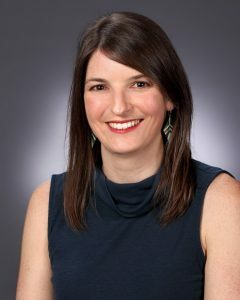 She received her master of science in social work from the University of Texas at Austin and her bachelor’s degree in social work from James Madison University. Karen serves as a peer reviewer for the Council on Accreditation and is an active volunteer in many nonprofit organizations in her community. Sean Williams is a Nonprofit Operations Consultant and joined TechBridge in June 2014 through the acquisition of SEMA Development, a nonprofit with a mission to deliver affordable mobile apps to other nonprofits. Through experience at SEMA and TechBridge, Sean has more than six years of nonprofit experience, working directly with over 35 nonprofits with operating budgets ranging from $500K to $125M. Sean serves on the innovation and advisory boards for the Georgia Social Impact Collaborative and leverages his background as a public speaker to advocate innovation and social enterprise across the country. 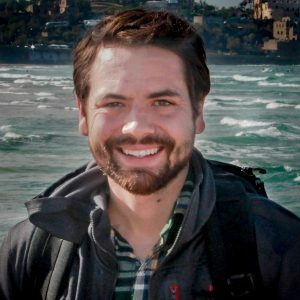 This will be Sean’s third time presenting at NTC and he is excited to share from experience on measuring and communicating project ROI at NTC Portland to help more nonprofits win the funding they need and bring more technology transformations to the nonprofit sector. Elizabeth Quick (Liz) is the Director of Development at Mercy For Animals, a international farmed animal advocacy organization. 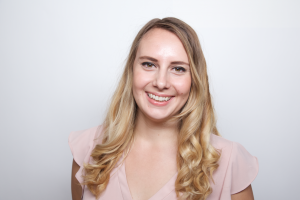 Liz has over six years of nonprofit experience ranging from digital and direct mail strategy, events, mid/major giving and strategic management. She has a special emphasis, knowledge and fondness for annual giving. Liz leads a team of 12 and established MFA’s fundraising efforts in Brazil and Latin America. Liz is based in sunny Los Angeles, and is the owner of a rescued Chihuahua named Cocobella, and a excitable pug named Penny. In her free time, you can find Liz hosting her beer run group, the LA Craft Runners. Julia Toepfer is the marketing and online engagement manager at the National Immigrant Justice Center. 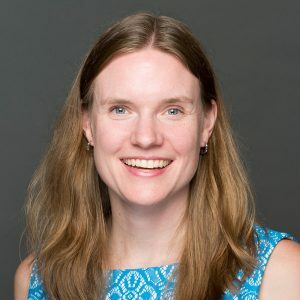 Julia is an experienced storyteller, writer, marketer, campaigner, fundraiser, and digital strategist with more than 10 years of experience working with nonprofits across the United States and internationally. She has provided training and consulting services for organizations to strengthen their social media channels and develop impactful online campaigns. Julia received her bachelor’s degree in English with a minor in Latin American studies from Boston College. She lives in beautiful Colorado and loves exploring the mountains with her husband and dog, Bernie.